Many companies These Massive Companies Came From Humble Beginnings These Massive Companies Came From Humble Beginnings Read More let their employers access important services with their own devices. Most of the time, this doesn’t cause any problems, but it does remove a bit of control. If a big mistake Are You Making These 6 Password Manager Security Mistakes? Are You Making These 6 Password Manager Security Mistakes? 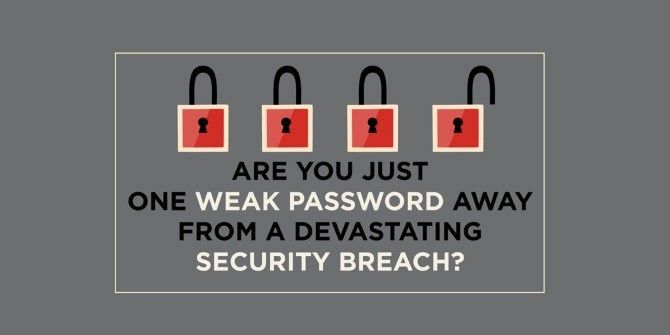 Password managers can only be as secure as you want them to be, and if you're making any of these six basic mistakes, you're going to end up compromising your online security. Read More is made, it could end up causing a huge breach! Whether you own a company and let your employees use their own devices, or you work at a company where this is the case, you need to check out the infographic below for some important information that’ll help you keep things far more secure. Learn Pokemon Go Safety in 15 SecondsWhat Do Hand Gestures Mean in Different Parts of the World? Dave, Thanks for the ad from LastPass. Was expecting a real article rather than a Ad, especially with the click bait Title. I guess the Category does make sense, "ROFL"
Please continue to bring us ads from around the world. I just can't get enough of advertisements!